Bobby B. Sutherland is an up and coming cricket star in the Southern California cricket league; He is the first Belizean Cricketer to have been selected on a trial basis to represent the United States, as it prepares to enter the world cricket league in the not too distant future. Bobby B’s strength is in his clean and swift bowling style, but his over all athletic abilities are exceptional. Born in Crooked Tree Village, Belize, Bobby B started out his successful cricket career playing with the Brilliant Cricket Club of Crooked Tree Village. Because of his highly competitive spirit and his intolerance for under-performance by his fellow team players, Bobby B. quickly became a controversial figure even to the point of being shunned by some of his fellow team members and their die-hard cricket supporters. He brought this attitude with him, when he arrived in Los Angeles and joined the California / Belize Cricket Club (Cal-Bel) in 1992. Bobby B. played for a struggling Cal-Bel Club from 1992 to 2002. During this time his bowling prowess caught the eyes of the Southern California Cricket Association (SCCA) Scouts, who encouraged him to play for an upper division team instead of wasting his talent in the lower division. He heeded the scouts advice and joined the Jamaican “Caribbean Cricket Club (C.C.C. )” in order to play in the upper division. 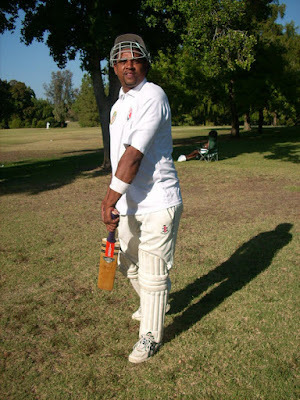 He played with the CCC from 2003 to 2004, during which time the scouts had a chance to assess his performance playing among the cricket elites in California. In 2004, Bobby B. was selected to play at the professional level on the L.A. UNITY Team, and was being paid US $300.00 per game playing against elite cricketers in the “Fast-n-Furious Global Action League”. He also accompanied the SCCA All Stars selection side on a tour to Dallas, Texas, to play in the U.S. trials. Bobby B. received professional coaching under the SCCA Cricket Coach, Benjie, whose job it was to prepare the Team to compete against elite cricketers from all over the United States. Benjie, who is a retired professional cricketer from the West Indies, concentrated on fine-tuning Bobby B.’s bowling techniques. He taught him how to turn the ball from both sides with a smooth delivery. Bobby B. was also exposed to cricket professionals from all over the Cricket World, including the West Indies pace bowler, Dillon, and Franklin Rose, who are his fellow team mates on the Caribbean Cricket Club. While recovering from a serious knee injury, Bobby B. went back to play for Cal-Bel in the 4th Division, and in 2005, he won nine (9) trophies in the 3rd Division, including the MVP, Most Runs Batted, Batting Average, Centurion, Bowling Average, Most Wickets and Three Hot Tricks. Unfortunately, he was taken off the SCCA Selection side that same year, as he was no longer playing in the Upper Division. He played for Cal-Bel off and on and again won the MVP trophy in 2008. He underwent knee surgery and sat out the 2009 season. In 2010, he joined the Caribbean Cricket Club and is currently playing in the Upper Division this season. He took five wickets for twenty-nine runs against the undefeated Hollywood Cricket Club a few weeks ago -out shining his mentor, Franklin ROSE. Apart from cricket, Bobby B. is also a passionate music lover. He started his music career as a vocalist with the YOUTH CONNECTION BAND in Orange Walk at the age of nineteen with the help of Albert Tillett. He performed with this band playing all over Belize for over four years until he came to Los Angeles, California. In L.A., he got hooked up with Michael Wagner, a former vocalist for the Lord Rhaburn Band, and they started a Group known as “Michael Wagner and the Roots Band. They hired an Agent who arrange for them to perform at some pretty big events in California, including an event called SHAQTACULAR that Shaq and the L.A. LAKERS hosted in Shaq’s backyard at his Bel-Air home. 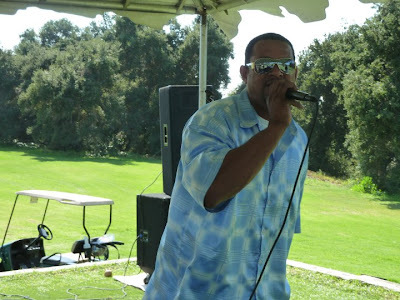 They performed for Shaq's and the Los Angeles Lakers event for three consecutive years. 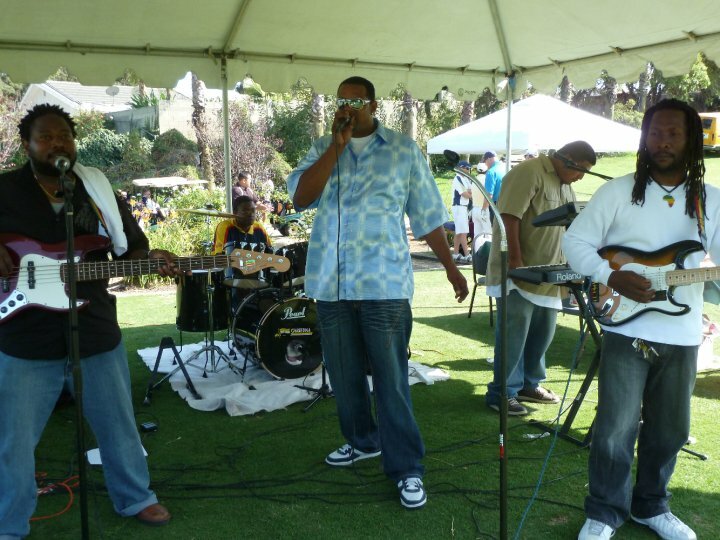 The Band stayed together from 1993 to 2001, when Bobby B. decided to form his own Group “ Bobby B. and THE RASTA CHILDREN BAND”, which caters mostly to Reggae Lovers at Sports Bars and Beach Cities and therefore is not well known in the Belizean Community in Los Angeles. They performed at events such as The Amgen Tour of California, Hollywood Red Bull Promotion, L.A. Doggers, L.A Lakers, L.A. Kings Hockey Games, etc. The Rasta Children Band is still going strong today in Los Angeles.